Generally, construction of dams is regarded as means of economic progress in many countries. However, major consequences of such projects are the inundation of upstream areas and the resettlement of entire communities in newly built environments where they experience dramatic transformation in their lifestyles. 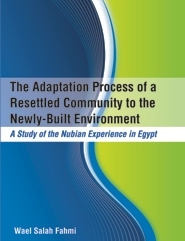 The present study takes the Nubian resettlement experience after the creation of Lake Nasser that submerged their old settlements, along the river Nile. Following their resettlement, the design of the newly-built environment disrupted the Nubian traditional lifestyles and patterns of privacy mechanisms, territoriality and social interaction. However, the inadequacy of the newly-built environment was mainly attributed to the Nubians' transfer from spacious homes in the old villages to compact contiguous houses in the new settlements. The arrangement of these resettlement state built houses, distributed on the basis of household size, has further resulted in the fragmentation and the dispersion of traditional kinship-based neighbourhoods. Within an inter-disciplinary approach, the study is based on theoretical, historical and conceptual themes and on empirical research. It sets out to examine the households' responses towards, and adaptation mechanisms with, the newly-built environment. The thesis looks critically at the achievements of imposed top-down planning of built environments in meeting the socio-cultural and economic needs of those resettled. The empirical research was based on the sampling of three villages from the northern Kenuzi Nubian region. Physical, social and behavioural surveys were undertaken within a framework of two stages of resettlement houses. The research demonstrated that the relationship between the Nubian culture and the newly-built forms has changed, transforming the concept of the house from a social control mechanism to a physical structure that signified the upward social mobility and economic achievements of its households. Their adaptation process was mainly influenced by socio-cultural and economic factors as a result of their urban migration and resettlement experiences. Differential responses ranged from high income and acculturated households (urbanites) who introduced major structural modifications and spatial changes, to low income and enculturated (female headed) households (localites) in houses with minor functional changes. Different patterns of territoriality and social interaction outside localites' houses, contrasted with the private lifestyles characteristic of urbanite households. The thesis, therefore, revealed an emerging pattern of acculturation, and socio-economic stratification within Nubian households that determined their degree of adaptation. Accordingly, the elements (home ranges, core areas, territories, jurisdictions and personal spaces) that constituted the socio-spatial patterns of the newly-built environment were identified, reflecting different value systems, expectations and evaluations of the newly-built environment. The thesis calls for more in-depth study of resettlement schemes and specifically their built environments using multi-dimensional conceptual frameworks that employ different techniques of data analysis. Furthermore, the study views the imperative need for a serviced settlement (site and service approach) integrated within a comprehensive social policy, rather than the provision of housing, mainly in the old lands by the shores of Lake Nasser. It is centrally important to develop traditional earth-construction materials (mud-bricks) and appropriate building technologies that would provide low cost and responsive housing. More concern with environmental issues should be given with respect to innovations such as the processing of wastes recycled for use as energy and fertilizers. There is a need to involve grass root or NGOs, together with more community participation in the design process and the implementation of built environments which meet peoples' socio-cultural and economic needs. Wael Fahmi was trained as an architect at Cairo University and received his PhD in Planning and Landscape from the University of Manchester (United Kingdom). He teaches Architecture Design and Urban Conservation of Historical Districts as a Professor at the Architecture Department- Helwan University in Cairo. As a visiting academic at the University of Manchester, he has been undergoing joint research on Greater Cairo’s urban growth problems and housing crisis (published in Cities ). Further research focuses on the rehabilitation of historical Cairo (published in Habitat International and International Development Planning Review), the cemetery informal settlements (published in journal Arab World Geographer), and garbage collectors community (Environment and Urbanization and Habitat International). Recent publications include street movements within Cairo’s public spaces (Environment and Urbanization) and Cairo's 19th century and early 20th century contested European Quarter and architectural heritage (International Development Planning Review). In 1974, while studying physics and computer science at University of Utah, Catmull’s pioneering animation of a human hand was incorporated into the first movie to use 3D computer graphics. 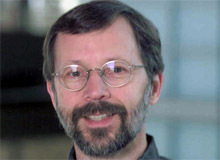 Through his research, he made four key computer graphics discoveries: Z-buffering, texture mapping, subdivision surface, and the fast rendering of bicubic patches. Catmull is the current president of Walt Disney Animation Studios and Pixar Animation Studios.